The U.S. Department of Transportation is leading the effort to stop texting and cell phone use behind the wheel. Since 2009, they have held two national distracted driving summits, banned texting and cell phone use for commercial drivers, encouraged states to adopt tough laws, and launched several campaigns to raise public awareness about the issue. 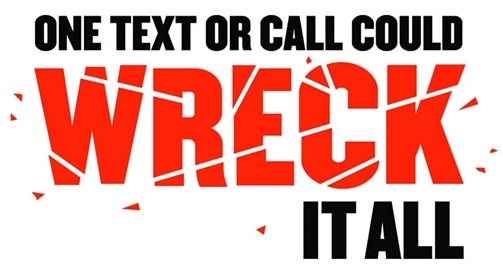 In 2013, 3,154 people were killed in motor vehicle crashes involv­ing distracted drivers. This represents a 6.7 percent decrease in the number of fatalities recorded in 2012. Unfortunately, approximately 424,000 people were injured, which is an increase from the 421,000 people who were injured in 2012. Distracted driving is any activity that could divert a person's attention away from the primary task of driving. All distractions endanger driver, passenger, and bystander safety. The best way to end distracted driving is to educate all Americans about the danger it poses. If you don't already think distracted driving is a safety problem, please take a moment to learn more. Visit Distraction.gov for more information. Please share these facts with others. Together, we can help save lives. Experience the stories at this link. PARENTS: Check out our Parent-Teen Driving Contract to help discuss distracted driving with your teen(s). Last Modified: October 19, 2018. Contact D. Paul Waltz with questions about the content of this page.